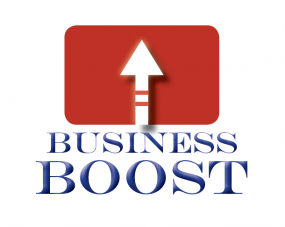 EMPORIA, KAN. – The Emporia Area Chamber and Visitors Bureau will host Your Quarterly Business Boost on Wednesday, August 12, from 8:00 – 10:00 a.m. at the Trusler Business Center, 719 Commercial. Speaker Phil Hayes SPHR, with The Arnold Group will present HR & Social Media… Does HR Really Need Friends and Followers? Cost to attend this Quarterly Business Boost is $25/Members and $30/Non-Members. Please register today for Your Quarterly Business Boost on-line at: https://emporiakschamber.org/dev/event/quarterly-business-boost/or by calling 620-342-1600. Be a part of these quarterly workshops that will help “boost” you and your business. Hayes manages and oversees company operations, including the design, development and implementation of all client HR programs. Hayes holds a Bachelor’s Degree in HR Management from Bellevue University and Masters of Management Information Systems from Friends University. Before his time at TAG (The Arnold Group), Hayes was an Intelligence Analyst in the United States Air Force. Hayes is also recognized as a certified Senior Professional in Human Resources (SPHR) through the HR Certification Institute. Hayes remains active in the Society for Human Resource Management (SHRM) and currently serves as Director for the Kansas SHRM State Council. He also serves as a board member for the Workforce Alliance of South Central Kansas, Inc. In 2006, Hayes was recognized as the “Wichita HR Professional of the Year” and “Kansas HR Professional of the Year” in 2007. Hayes was appointed to the Kansas Employment Security Board of Review in 2014 by Governor Brownback.